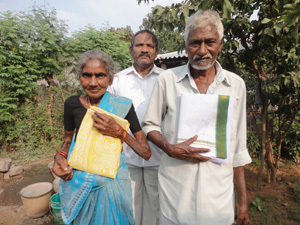 We have been able to care for many widows and needy elderly people. In Indian culture if a woman is widowed, she is considered to be "spoiled" and no one will remarry her - even if she is very young! This creates a huge problem for many women. The lower caste women cannot find good jobs and work hard labor in rice fields for very little pay. Many of these women also have children to provide for, and this becomes an impossible task. We help to provide a supplement to their low income to be sure they have clean water, food, and clothing as most of them are only able to afford shelter with their limited income. 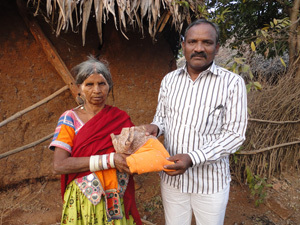 For only $10 US per month, you can provide a widow with basic necessities, give her dignity and share with her the love of Christ. 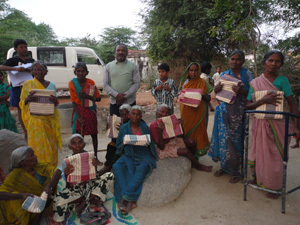 We also help the elderly with basic necessities once they are unable to work. This is a wonderful outreach, and so few dollars can do so much to change a life.